HomeTop NewsOpinion: Akufo-Addo Notches a Landmark First with German Chancellor Angela Merkel By Kwame Okoampa-Ahoofe, Jr., Ph.D.
One of the Trokosi Nationalist Fanatics was frenziedly pooh-poohing the recent daylong visit by German Chancellor Angela Merkel with President Addo Dankwa Akufo-Addo – who was to shortly be on his way to discuss business-investment opportunities with Chinese President Xi Jinping – at the end of which a Memorandum of Understanding (MOU) was signed facilitating the establishment of a Volkswagen Assembling Plant in Ghana by the close of this year. The German Chancellor’s historic visit had several significant aspects to it that were threatened with being drowned out by the Trokosi Nationalist Fanatics, whose sole political objective in Ghana is to ensure, if they had it within their power and/or influence, that the Akufo-Addo-led government of the New Patriotic Party (NPP) failed in its progressive development agenda, so as to ensure that the Mahama Posse will have a highly unlikely fighting chance in the 2020 general election. It was very likely also for this reason why another Trokosi Nationalist Fanatic was frenetically screaming some crudities about how Nana Akufo-Addo had not initiated proper consultations about the imminent establishment of the Volkswagen Assembling Plant in the country. Maybe somebody ought to remind these addle-brained nation-wreckers and pathological kleptocrats that the leaders of the New Patriotic Party did not campaign for the mandate of the Ghanaian electorate to facilitate the sabotaging of the well-being, dignity and the socioeconomic, cultural and technological development of forward-looking Ghanaian voters and citizens by the leaders of the National Democratic Congress (NDC). The Merkel visit was historic not only for its unprecedented whirlwind nature, but equally because it promises to significantly enable the Akufo-Addo Administration to remarkably reduce the unbearably and unacceptably high rate of unemployment in the country. Already, Volkswagen, the world’s leading automobile maker and seller, has a major manufacturing plant in post-Apartheid South Africa whose executives will handle the bulk of the operations of the proposed Ghanaian subsidiary of the multinational company. Volkswagen also has another assembling plant already operating in Rwanda, East Africa, that employs upwards of 1,000 workers and annually produces some 5,000 automobiles, including such hot-selling models as the Passat, Tiguan, Amarok and Teramont. The company also has an auto-parts producing plant in Kenya. Now, what the foregoing means is that through the watershed instrumentality of the professionally trained engineer and Germany’s Chancellor, a real time and rea life Industrial Revolution could very well be taking an unprecedented shape on the African continent. This is what the parochially minded and cognitively primitive Trokosi Nationalist Fanatics are morbidly afraid of confronting. It also bears underscoring the fact that Volkswagen will be collaborating in its manufacturing activities with an unnamed local Ghanaian company in the auto industry. What this means is that there will be a symbiotic and organic culture of technology interchange of the kind needed to healthily grow indigenous Ghanaian know-how. But, of course, the petty-minded anxieties of the NDC apparatchiks ought to be the least bit of our worries. As usual, the Trokosi Nationalist Fanatic and agitprop hack was hopelessly beside himself with tantrums and throwing aimless and reckless darts at Germany’s most globally oriented and racially inclusive and progressive Chancellor of our time. And guess what? His cognitively benighted and dissonant darts strikingly reflected more on the savage mindset of the Trokosi Nationalist than the intended target of his decidedly vacuous tirades. 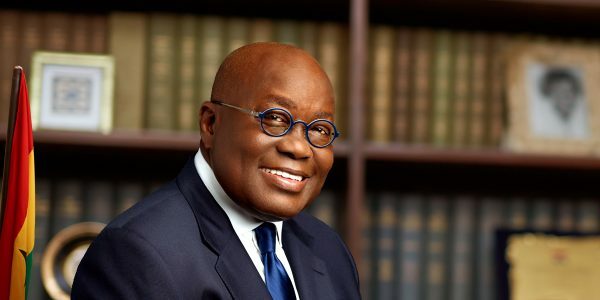 On the foregoing count, even Mr. Kwadwo Sarfo-Kantanka, Jr., recognized something meaningful and technologically healthy about the sort of competition which the proposed establishment of the Volkswagen Assembling Plant was apt to bring to bear on his own auto firm, namely, the Kantanka Automobile Company. The very savvy Mr. Kantanka, Jr., is not the least bit scared stiff about the remarkable level of competition that Volkswagen is likely to pose to his small-sized auto-manufacturing firm. He only wants the government to set in place laws and regulations that aim to adequately protect the fledgling auto industry in the country, while at the same time enabling more firmly established foreign auto manufacturers like Volkswagen and other dealers have liberal access to Ghana’s auto market. Smart- young entrepreneur, were you, the Dear Reader, to ask me.